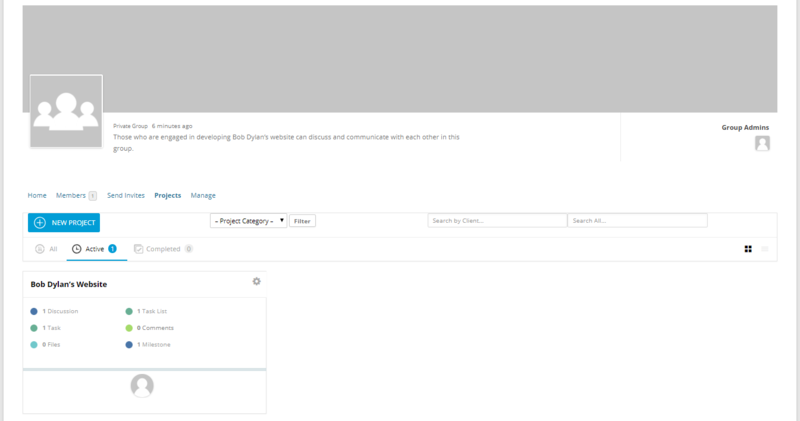 BuddyPress Integration module is only available in the Business version of the WP Project Manager. What BuddyPress add-on for WP Project Manager Pro does is bring the projects feature to the Groups option of BuddyPress. To activate the BuddyPress module go to WP Admin Dashboard → Project Manager → Modules → Activate the BuddyPress Integration. 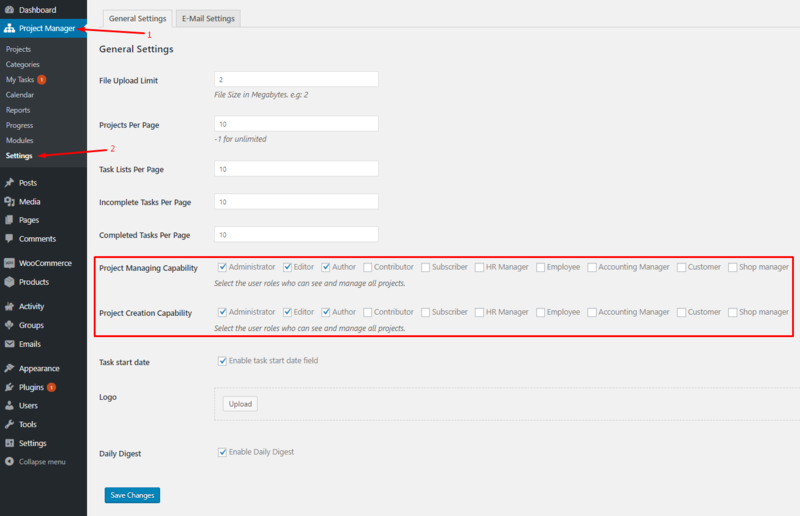 There is no dedicated configuration page for BuddyPress add-on for WP Project Manager Pro. As soon as you install and activate the add-on, you are ready to enjoy the BuddyPress integration with WP Project Manager Pro plugin. Groups is a core feature of BuddyPress. You can create as many groups as you like, assign members to the group, assign moderators and so on. There are different types of groups. You can create public groups, create groups where users can join only if they receive an invitation, or you can create completely hidden groups. This add-on adds a new Projects menu item inside the group's page. So every member of the group can have their own Projects that are separate from other projects on the site. Create Group(s) and add members to the groups. Go to the group page (on the front-end of your site) and you'll see a Projects menu. Click the Projects Menu item, and you'll be able to create projects, add details, and create tasks and to-do lists under that project. Projects created within one group will not be visible in other groups. When creating projects from within the groups, there will be no option to assign any user as all members of that group will be automatically assigned. Only super administrator of the site can see all the groups and projects created inside of them. Not all members of the group can create or manage groups. To control who can create and manage projects, you need to choose user roles from the settings page of WP Project Manager and assign those users the specific roles. Refer to the screenshot below. You can access the settings page from WP Dashboard → Project Manager → Settings → General tab. By now you may be wondering how it is different from the Project Manager Frontend add-on which also brings up the entire projects feature to the front-end of your site. If you are curious to know the difference between the two, see this article on the Difference Between Project Manager Frontend and BuddyPress for Project Manager add-on.